Dr. John Park grew up in Seoul, South Korea and moved to Houston, Texas when he was in middle shcool. He graduated from the University of Washington, in Seattle with Biochemistry degree(BS). 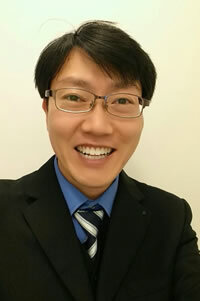 Dr. Park earned a DMD (Doctor of Dental Medicine) from Tufts University School of Dental Medicine. Following dental school, he went to a private dental office in District Height area, seeing a diverse collection of patients with needs from all different kinds of dental fileds. He is excited to be practicing in Maryland and takes great pride in treating the communities. Dr. Park believes that it is team efforts to treat the cavities and to educate the patients and to work harmoniously with the patients and their parents as well as the front desk and dental staff members in order to make the office visit as educational and stress free as possible. Beside dental works, he loves to go out to jog, hike and explore around the new hiking areas.